Both chili peppers and ginger are widely used spices in certain cuisines, and have been studied for potential health effects. Washington D.C.: If you are one who loves hot-n-spicy food, then this is of course a news for you to cherish. New evidence suggests eating chilli and ginger together could help prevent cancer. Some earlier research has suggested that capsaicin, the compound that gives chili peppers their kick, might cause cancer. Now American Chemical Society researchers have shown in mouse studies that the pungent compound in ginger, 6-gingerol, could counteract capsaicin’s potentially harmful effects. 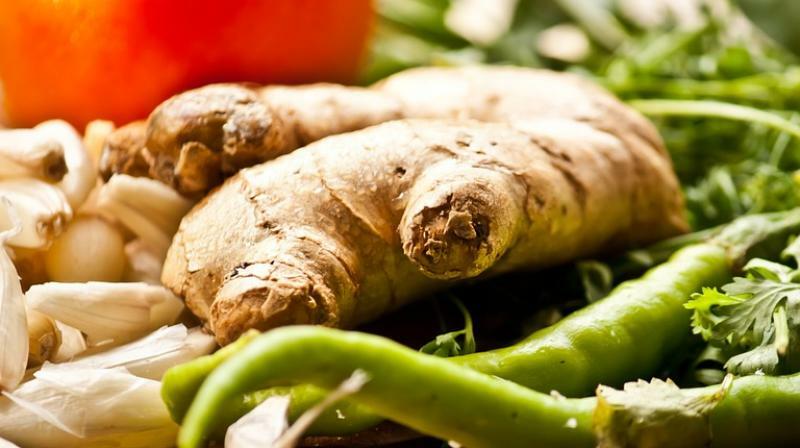 In combination with the capsaicin, 6-gingerol could lower the risk of cancer, they say. Both chili peppers and ginger are widely used spices in certain cuisines, particularly in Asia, and have been studied for potential health effects. Although some studies have shown that peppers can have benefits, others suggest that diets rich in capsaicin might be associated with stomach cancer. Ginger, however, has shown promise as a health-promoting ingredient. Oddly enough, capsaicin and 6-gingerol both bind to the same cellular receptor, one that is related to tumor growth. Researchers Jiahuan Li, Gangjun Du and colleagues wanted to further investigate this apparent contradiction. Over several weeks, the researchers fed mice prone to lung cancer either capsaicin or 6- gingerol alone, or a combination of both. During the study period, all of the mice that received only capsaicin developed lung carcinomas while only half of the mice fed 6-gingerol did. Surprisingly, an even lower percentage, only 20 percent of the mice given both compounds developed cancer. The researchers also dug into the potential molecular underpinnings of how the compounds interact to lead to this effect.